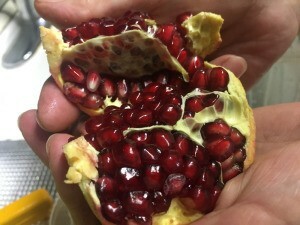 If you grow your own pomegranates this is a fun way to juice them. All you need is the fruit and a hand held citrus squeezer. Plant the leftover seeds and grow more. 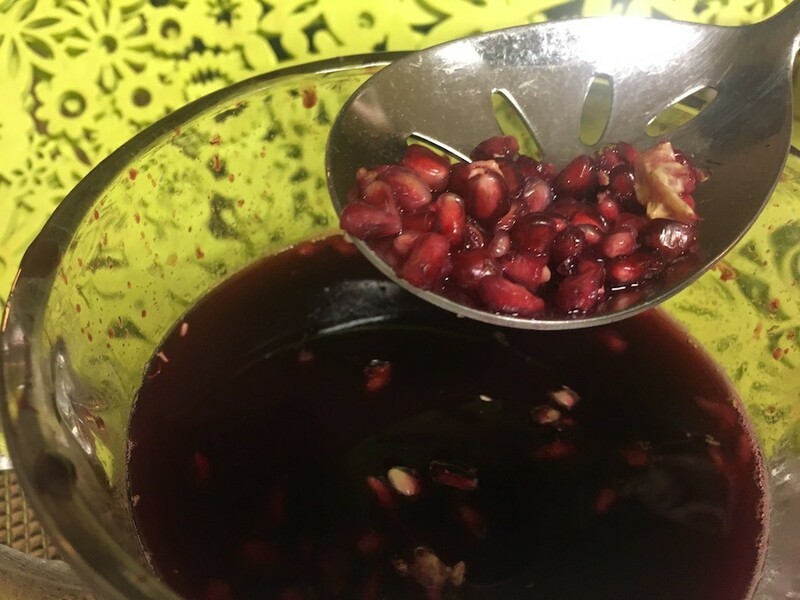 Learn about juicing and growing your own pomegranates. My family and I are known as the Pomegranate People because we've been growing them ever since I was a little one. In fact, the first thing I ever grew on my own was a pomegranate tree at age four. Now these fruits are more popular than ever, and buying the bottled juice at the shops isn't very cheap. 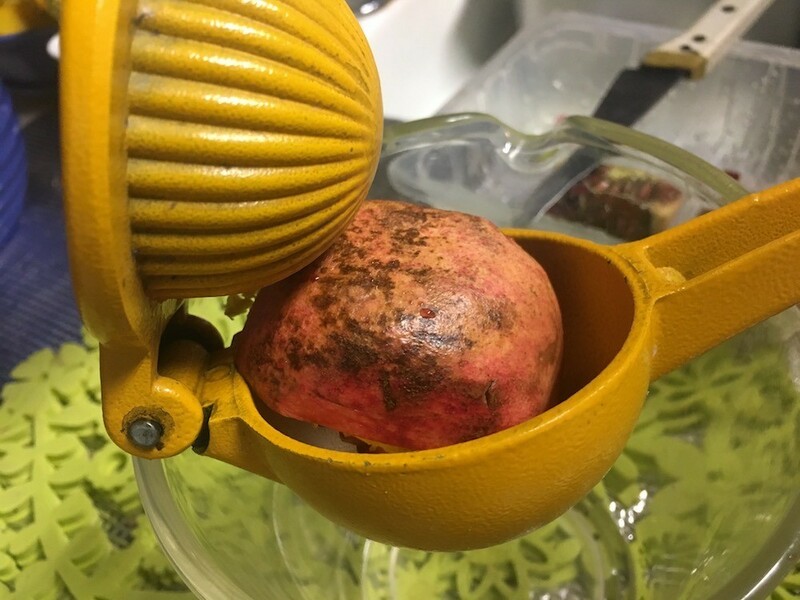 This is one method of juicing pomegranates at home, then planting the leftover seeds in order to grow more of the fruit. The best time to start the growing process is at the end of winter to the beginning of spring. 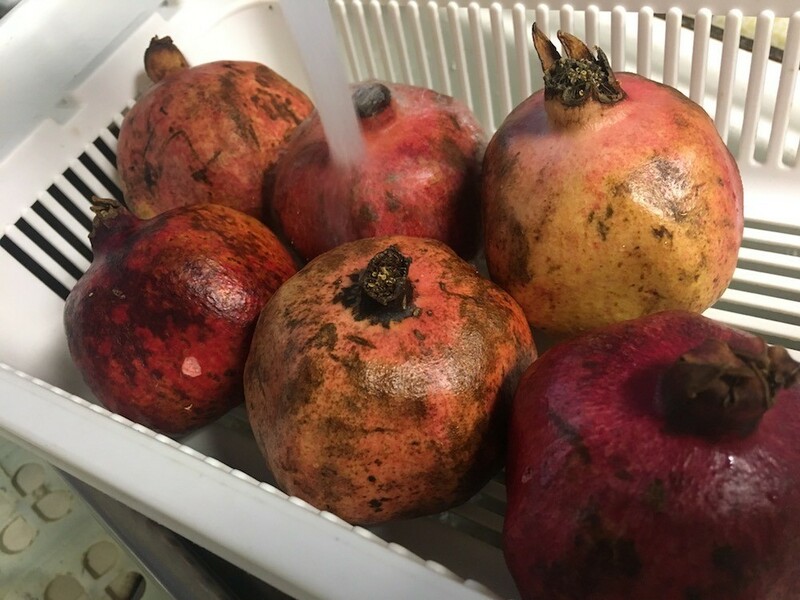 Rinse off the outsides of the pomegranates. 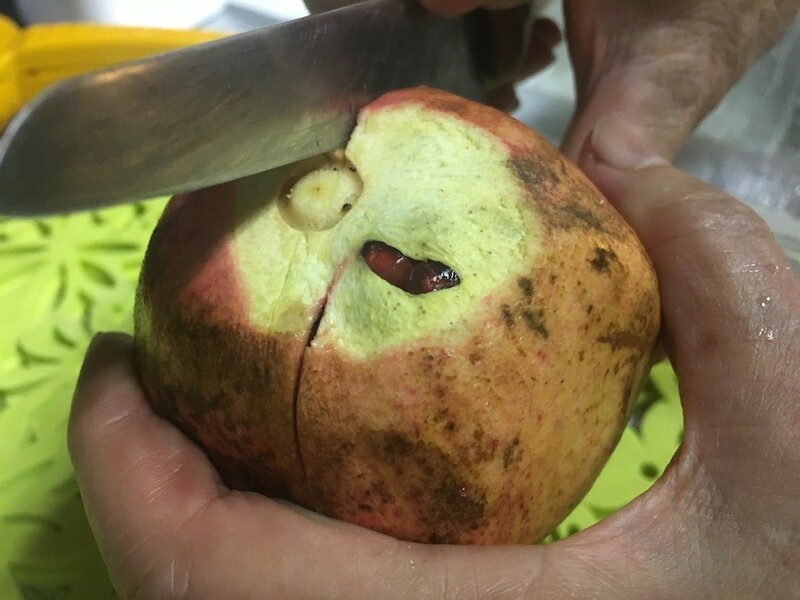 Cut the exterior skin of the pomegranate into quarters, stopping before the seeds. With a bit of force, the pomegranate will pop right open. 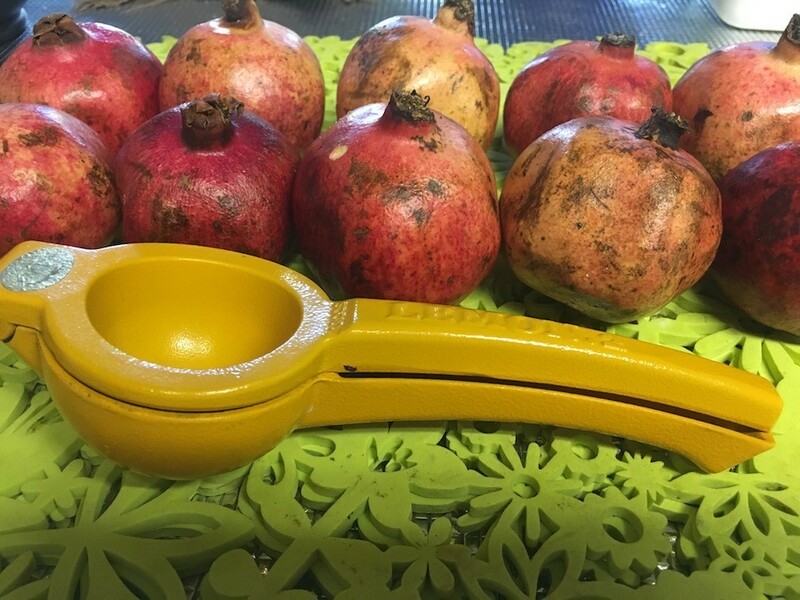 Place a piece of the pomegranate face down in your squeezer. 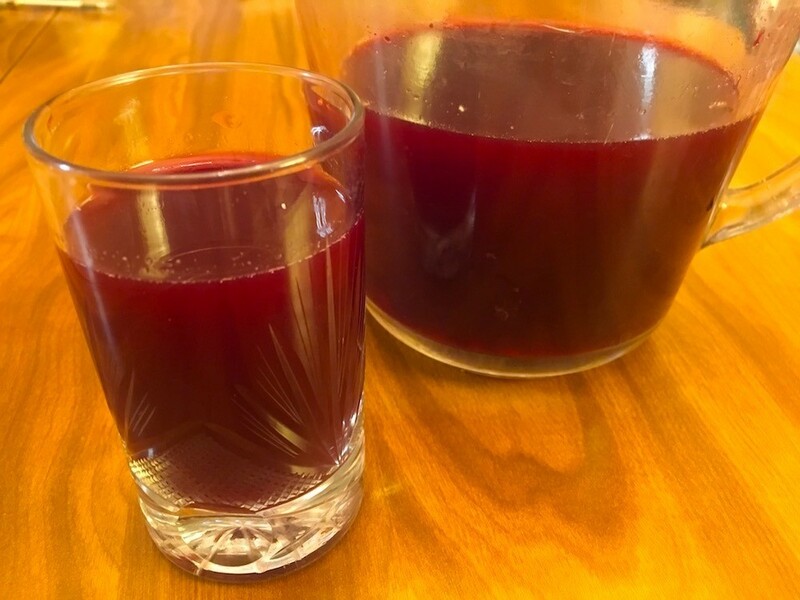 Press and squeeze juice into a bowl. 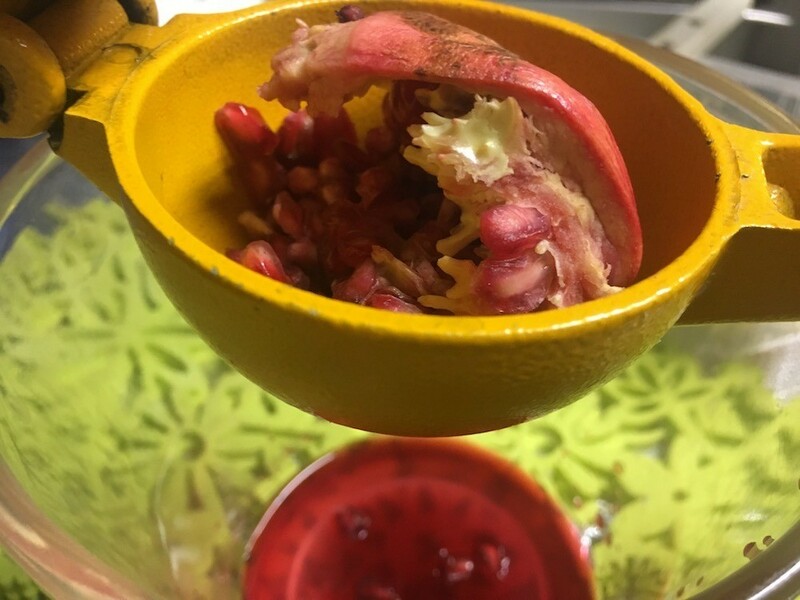 Keep flipping the piece of pomegranate and squeezing from every angle to juice all the seeds. Some of the seeds will get into the juice, remove with a slotted spoon and set aside. Rub the seeds with a paper towel to remove all the pulp, then plant them 1/4 inch deep in a seed-starting tray. They will germinate in a sunny window in about 6 weeks. Spread seeds outside in a sunny, dry area and cover them with 1/2 an inch of soil. When the tree is young, water every three to four days. As it grows and gives fruit, it just needs to be watered once a week. A while back you mentioned playing the protégé and gleaning lots of useful information from me. Well, Friend Girl, there's been a turnabout. 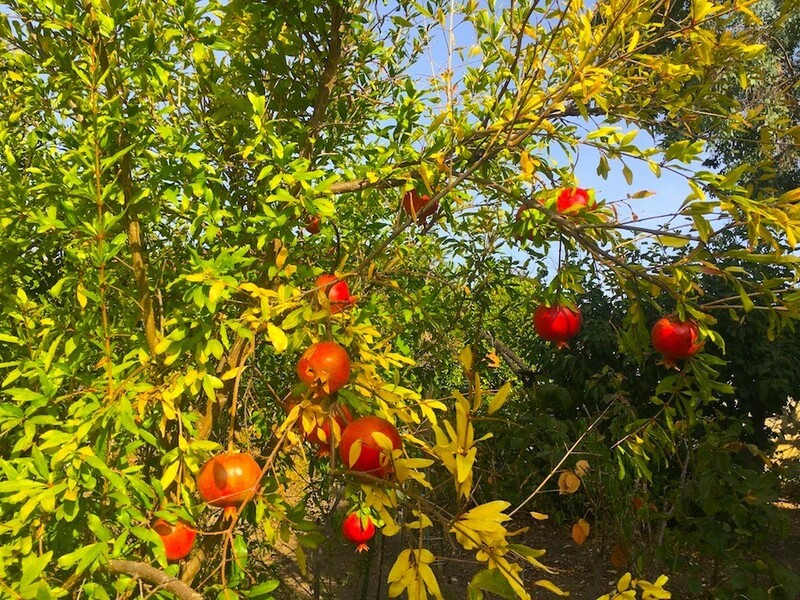 Years ago, I bought a Wonderful pomegranate and kept and planted the seed. I had lots of pomegranate bushes. I could have used them for a hedge row, as I understand is often done in California. Pomegranates do well in North Carolina, too. I remember being enamored by a lovely Lumbee Indian. When I went to see her, I would ask her mother, 'I've forgotten. Tell me again the name of those bushes growing in your front yard'. And of course, I chuckled (under my breath) when she replied, 'They're pump grannies'. I kept my bushes for at least ten years. They grew well and always looked nice and healthy. Just this last year, I dug them all up and threw them away. Not one bore fruit in all those years. I pray thee, do tell, what did I do wrong? Yours is a beautiful bush, tree, no less. Yes! Mum n I are shocked they did not give fruit! Did they give little flowers? Nothing? Usually within two years they bloom like mad. My worst attempt still bloomed and gave the tiniest lil fruits. Worthless, but still something. How tall did they get? About 3 feet and never a bloom. Did you fertilize yours a lot? No fertilization. We water ours very little about once every 10 days. Needs direct warmth!